내가 한국어 아직 많이 모르지만 아직 한국어로 블로그-포스트 쓰고 있어요. 전 아직 초급이에요. 그래서 어떻게 블로그-포스트 써요? 여기 모른 언어로 블로그-포스트 쓰는 조언이 있어요. 당신은 잘못을 하는 것 무섭지 마세요! 언어를 배우기 안 쉬워요. 그래서 시작에서 잘못이 많아요. 근데 더 의국 언어를 하면 더 빨리 배워요. 구글 번역은 조심히 용하세요. 구글 번역은 좋은 사전이에요. 단어를 번역하는 결과 몇개 주조 있어요. 항상 결과를 클릭해야 돼서 더 결과 보여요. 그래서 아직 결정해야 돼요. 근데, 구글 번역으로 다 문장이 번역하지마! 문장을 번역 못 해요. 구글 이미지 용하세요. 내가 단어를 찾았면 구글 이미지를 용해서 사진 보여봐요. 괜찮은 사진이 이면 괜찮은 단어 있어요. 문장 예는 도움이에요. 좋은 예 진짜 도울 수 있어요. 단어나 문장이 확실하지면 구글 검색해서 더 예 찾아요. 가피 엔 페이스트 또 도워요. 이것 다예요. 더 얘기하기 없어요 =). 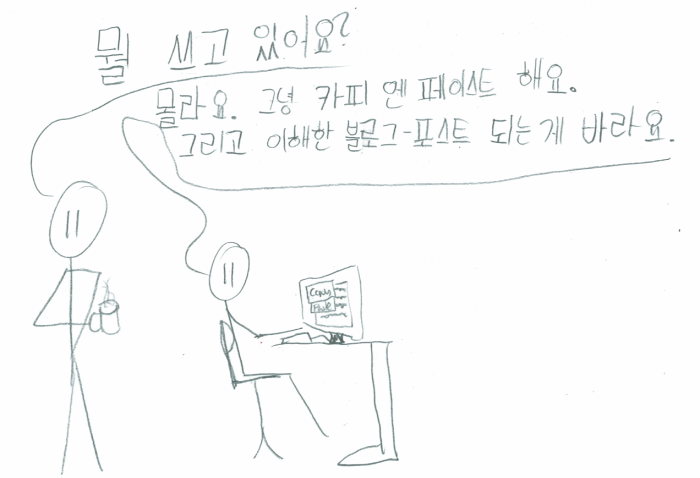 I still don’t know much about Korean and yet I write Blog posts in it. I’m still just a beginner. So how do I write these blog posts? 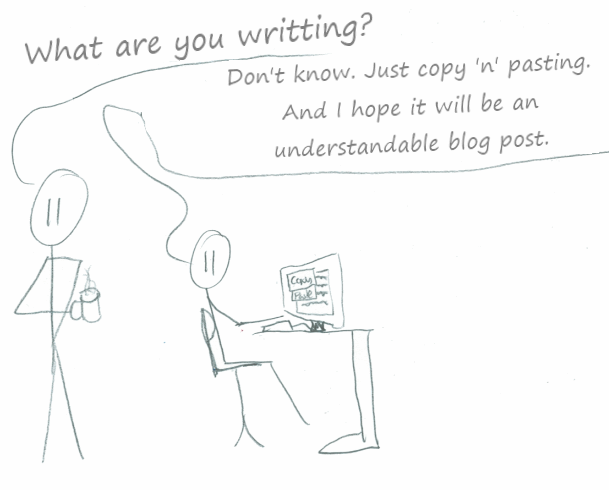 Here are my few advices how to write a blog post in a now well known language. You should not be afraid of mistakes! Learning languages isn’t easy. So at the beginning there will be a lot of mistakes. But when you use the language more you will learn faster =). Use Google Translate with care. Google Translate is a quite a good dictionary. Often there are multiple translations for a word. Always click on the result to see more translations. In the end you still have to decide which translation to pick. BUT: Do not translate sentences with Google Translate. Google Translate cannot really translate sentences. Use Google Image Search (or others). When I’ve found a word I often search for it. When the pictures are alright I know that I’ve the right word. Example sentences are helpful. Good example sentences can be a real help. When I’m not sure about a word or sentence I google for it to find examples. That’s it. Nothing else to tell. I hope you had a great progress in studying korean. If you had any question, please feel free to ask. 잘 보고 갑니다. Akka에 관심이 있어서 들어왔는데, 한국어를 배우신다니 참 고맙고도 대단하다고 말씀드리고 싶습니다.